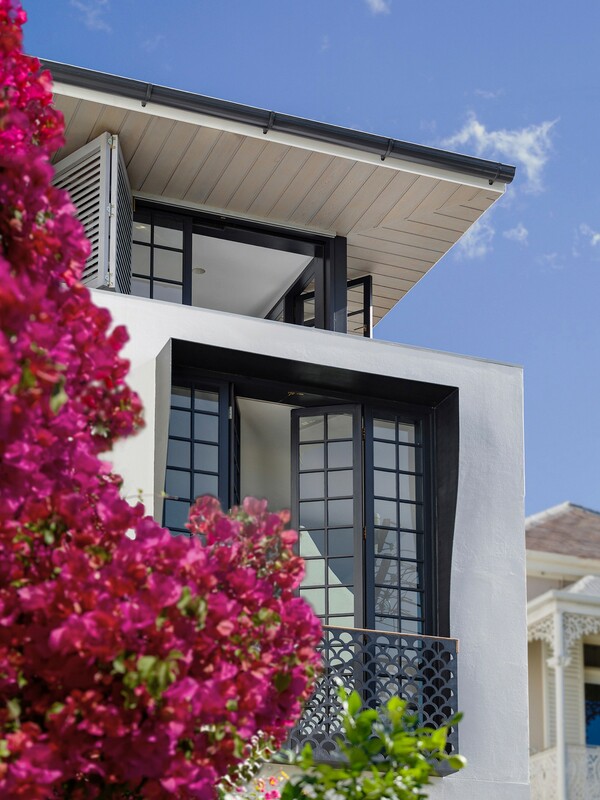 The design of Bougainvillea Row House created by the studio of architect Luigi Rosselli is inspired by the idea of the Raumplan as developed by Adolf Loos to offer an interesting design solution for a home where the long, narrow shape of the site is an important limit and, at the same time, a planning challenge. 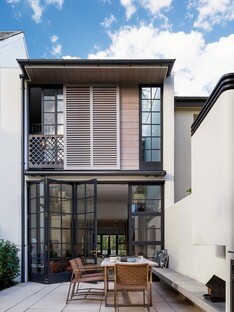 The architect worked on a typical home in Woollahra, a terraced house from the 1950s, built near Victorian era constructions. It recalls the decoration of that age, but is reinterpreted in a contemporary key, with elements in iron for the entrance gate and the balustrade of the balcony, inspired by a decoration for a building by Karl Friedrich Schinkel in the Sanssouci Park in Potsdam. 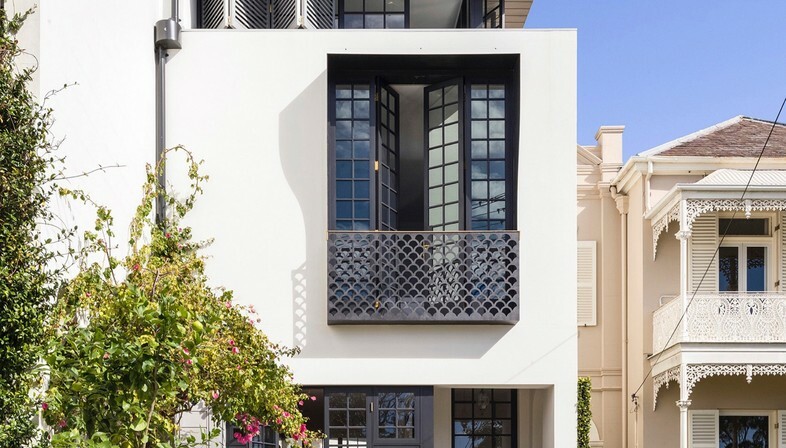 3-quarters of the structure of the original building was demolished and replaced by the new three-floor home designed by architect Luigi Rosselli. 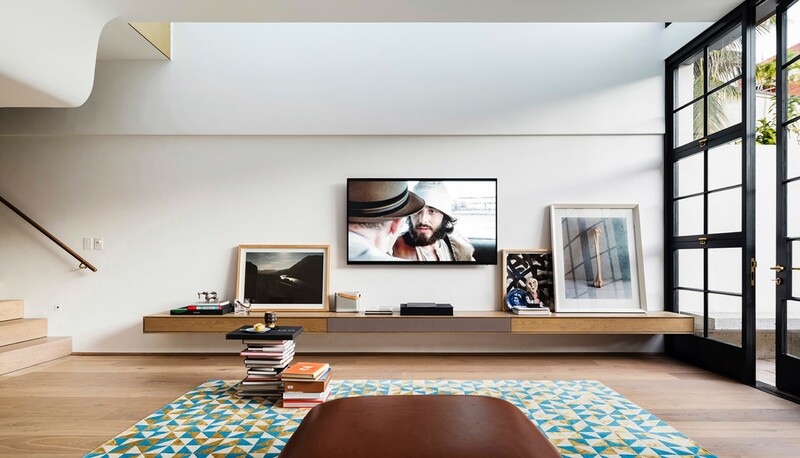 The relationship with the street is emphasised by a large balcony and a panoramic bedroom window on the upper floor that offers extensive views of Sydney Harbour and Bellevue Hill. 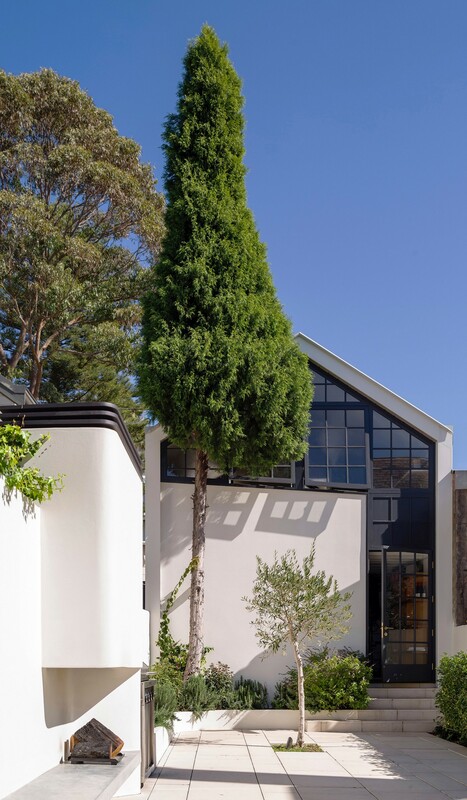 The house is organised into two blocks, one in front with an entry courtyard and one behind with a garage. The solution developed by the architect follows the natural slope of the site, as well as differentiating functions and distributing them perfectly on the lot. 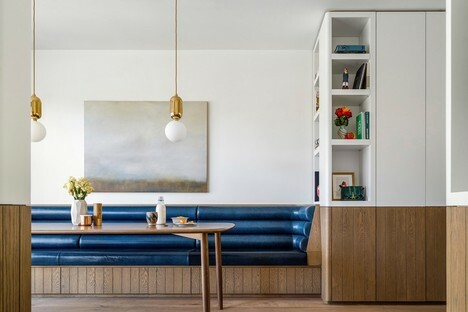 Alternate volumes and empty spaces create a pathway through the home and give the family indoor and open spaces with differing levels of privacy.